British John Barry was a distinctive Oscar-winning composer who contributed greatly to the style of the contemporary spy film with his themes for the Bond series. He brought a lush romanticism at odds with the violence depicted onscreen which helped shape 007, the secret agent which men everywhere wished they could be. But this aural opulence also benefited action/adventure movies, historical epics, and of course romantic melodramas like the first film whose theme I highlight below, Somewhere in Time (1980). Here's my favorite piece from his Academy Award-winning score for Dances with Wolves (1990). However, it's worth remembering that it is the 007 series which really brought him into the public eye. His experience with popular music as leader of the John Barry Seven informed both the jazz-inflected themes of the series and his collaborations with notable pop artists of the time, like Tom Jones in the theme to Thunderball (1965). His instrumental title theme for On Her Majesty's Secret Service (1969) is among his most exciting. And here is my personal favorite, in which he collaborates with singer Nancy Sinatra, You Only Live Twice (1967). 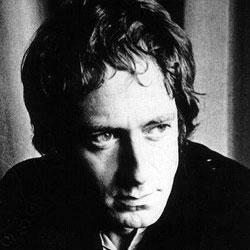 John Barry died yesterday at the age of 77. * Midnight Cowboy-Loved the use of harmonica and guitar here, pretty much 70's style. * Born Free- His Oscar winning score, brilliant. * Indecent Proposal-Movie was rather stupid, but the soft theme track was lovely. * Zulu- Great military march style score. * Out of Africa- Another lovely score, he sure does well with all those epic movies. Oops , I forgot MIDNIGHT COWBOY. Thanks for the reminder Ratnakar. Thanks for the link, Garry. As a very serious Bond fan, this news made me pretty sad this morning. I agree with you on Barry's music, especially his brilliant melody for "You Only Live Twice." I'd also like to note his Oscar-winning score for "The Lion in Winter"; though not as well known as some of his other works, is just as accomplished.